In our contemporary world of what most would call democracy, or freedom, the ability to speak our minds is one of the most important aspects of life. Paradoxically, an increasing number of artists is complaining about serious violations of human rights, and facing certain restrictions. 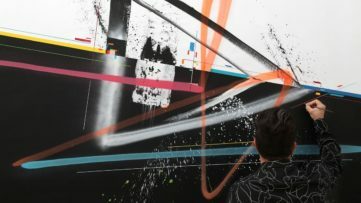 Whether the artists are getting more stubborn or not could be referred to as an issue alone, however the fact is that, in many cases, the right-winged opposition is gradually getting more strict and less tolerant. The question is – can something be done, for the sake of progress of any kind? Everyone seems to be complaining nowadays, but only a few individuals actually do something meaningful and productive. Could it be that art is really under threat? Perhaps it’s time for street artists to start dealing with this subject (again), on a global level? After all, their voice is somehow always heard, due to the accessibility of their works outside exhibition spaces. 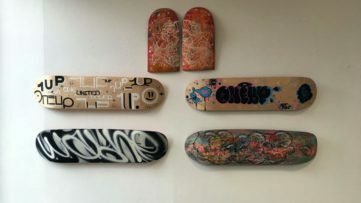 As for street artists who decided to take some of their creations inside, we suggest you see Johannes Mundinger’s exhibition in Berlin, and the upcoming exhibition of French graffiti artists in Milan. 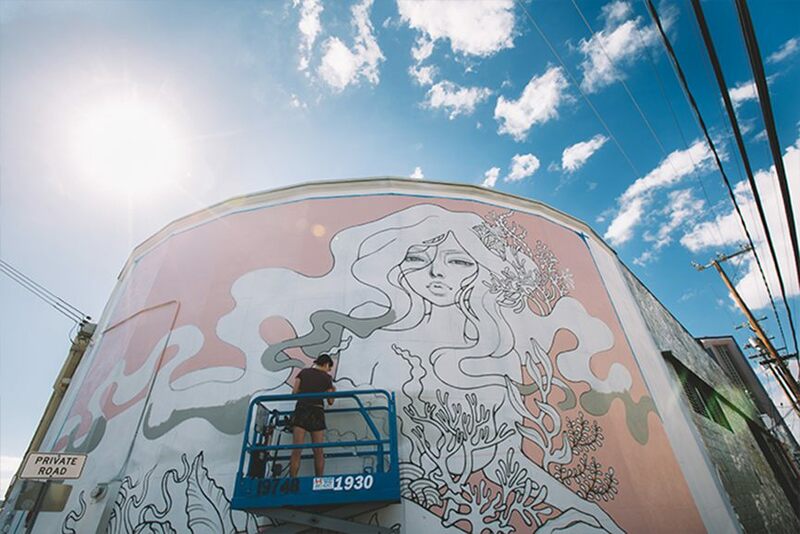 And now to mention the ones who made their paintings on the streets, scroll down to see 5 most interesting murals that were made recently! Also, don’t forget to like our page on Facebook. 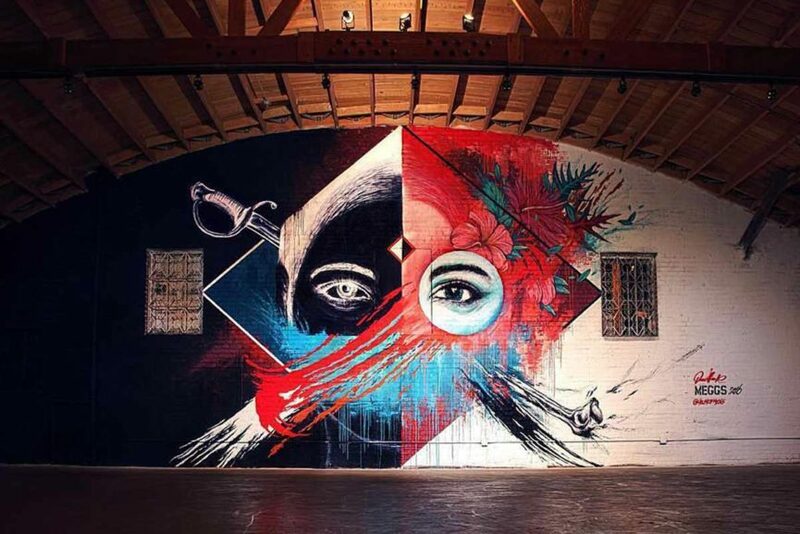 The Container Yard is located in the Art District of Los Angeles, and the organizers collaborate with various artists who are inclined to work with the post-industrial environment. 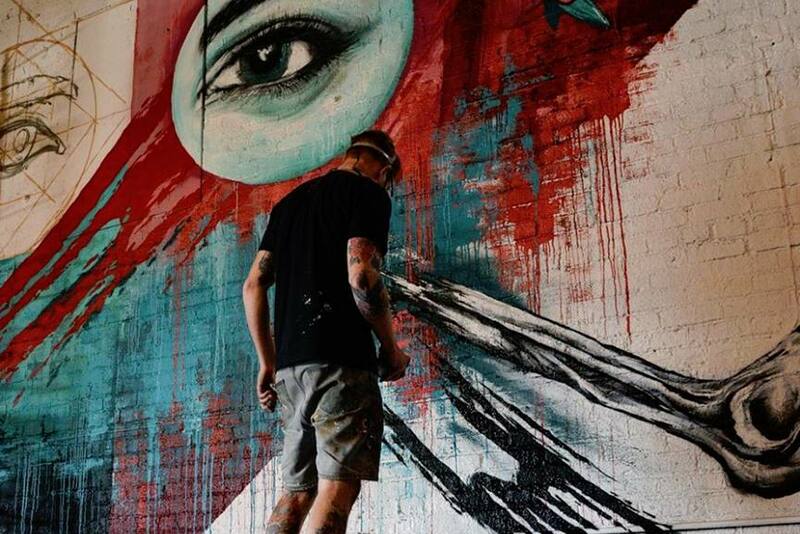 The project looks as interesting as it sounds, thus the Australian artist Meggs decided to take part in one of their actions. 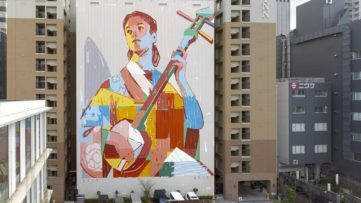 He made a mural named Lost Angeles, and here the letter T is not to be ignored, since it is crucial for the artist’s statement. This may be a response to the problems concerning artistic freedom of expression, which were posed as this article’s point of departure. “We all have a voice that matters, let yours be heard and your actions seen. As an optimist, for every negative, I stay positive“, says Meggs. Image via House of Meggs. 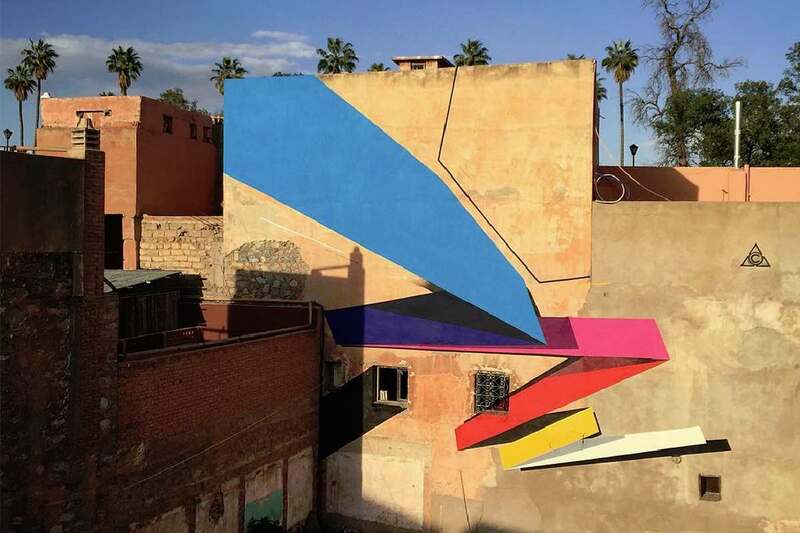 Remi Rough made this colorful composition on one of Marrakesh’s characteristic old walls. 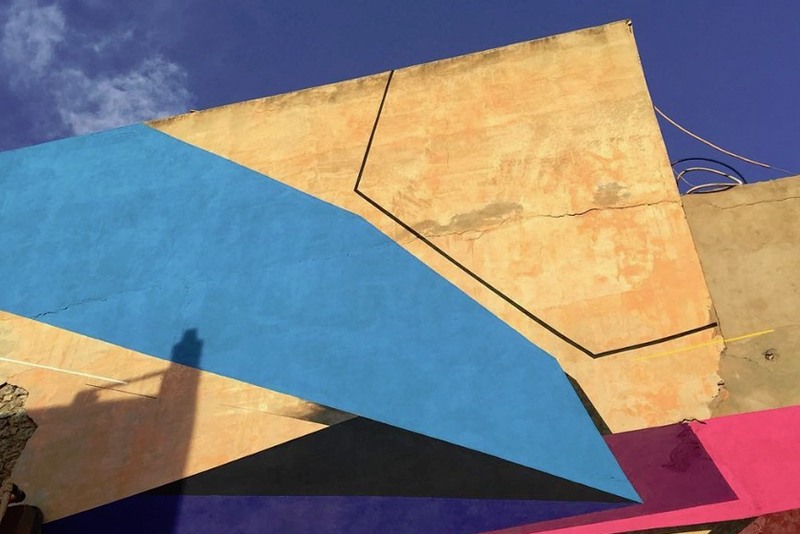 It looks like everything in the mural’s surrounding is bathed in sepia-yellowish tone, except for the blue sky, which you start thinking isn’t blue enough when compared to Remi’s pure, pastel colors. 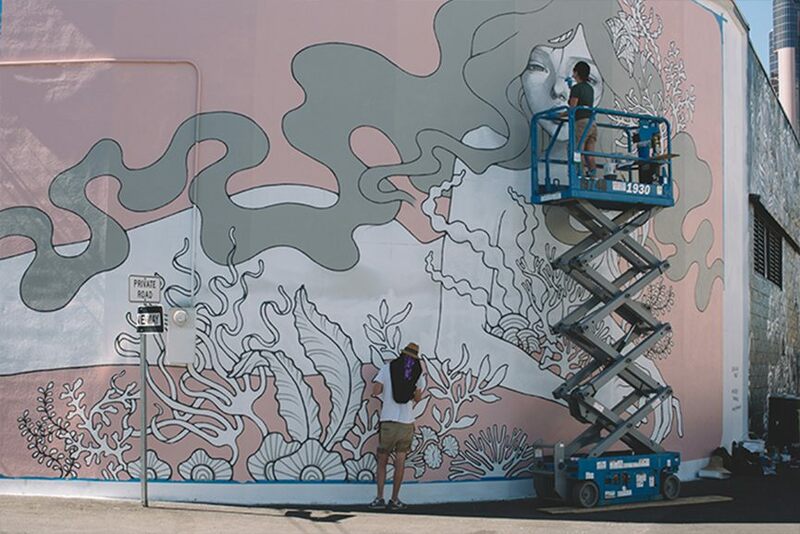 Once these beautiful shades are determined and applied, what the mural actually represents becomes less important. It could be perceived as an extension of the sky, which then separates into fragments of a rainbow. 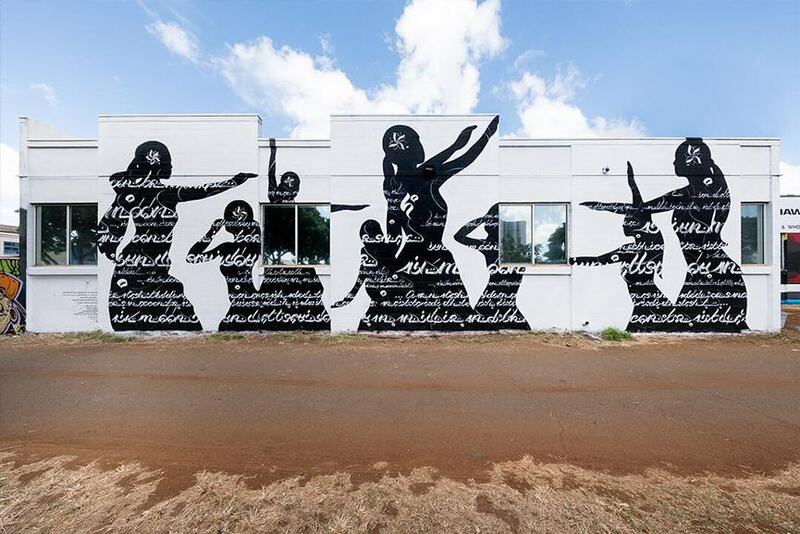 Although the photos are great as well, it would be awesome to actually see this piece and get the sense of its scale. 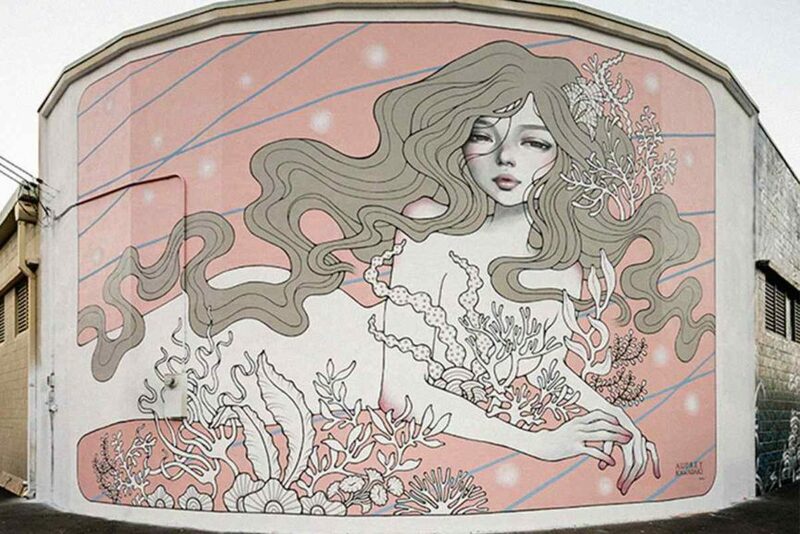 If you know Audrey Kawasaki‘s style, you probably know that she always depicts the same girl (even if she sometimes appears different). 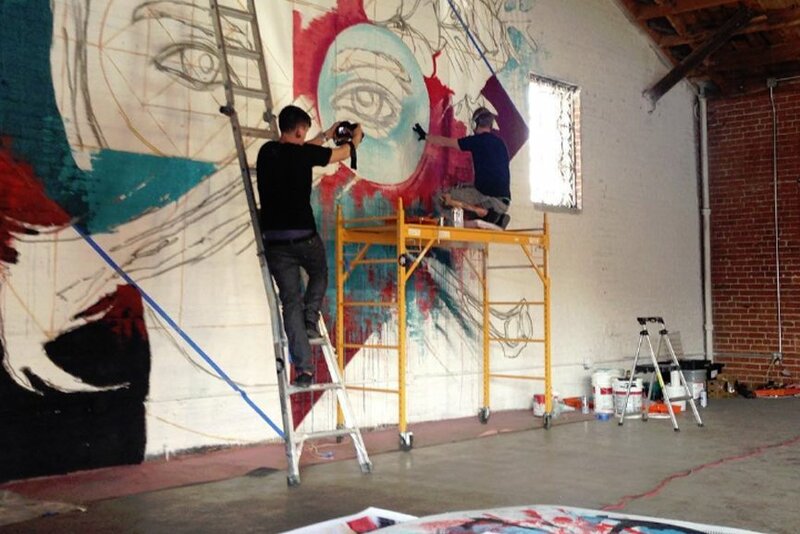 What you, perhaps, don’t know is that her experience with murals began just recently. 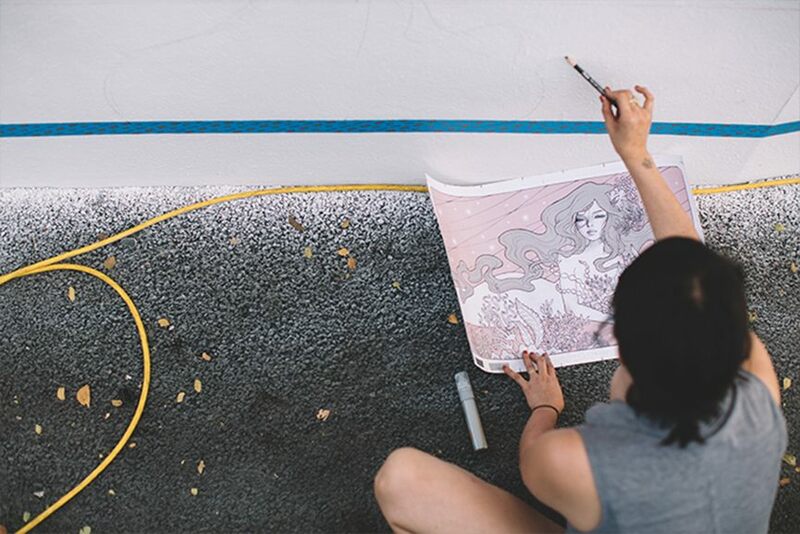 This is her 4th mural ever made, and the previous three were made in the past year, so she is very new to the discipline. However, since she is such a talented visual artist, she managed to translate her sketch onto a big, round-shaped surface quite successfully! She did have some help though, as she mentioned, her husband Rob came with Audrey and assisted her. All in all, a lovely painting, and in a seemingly attractive environment as well. The artist gave the mural this title: Glass Half Full. However, the story behind it is not so bright. 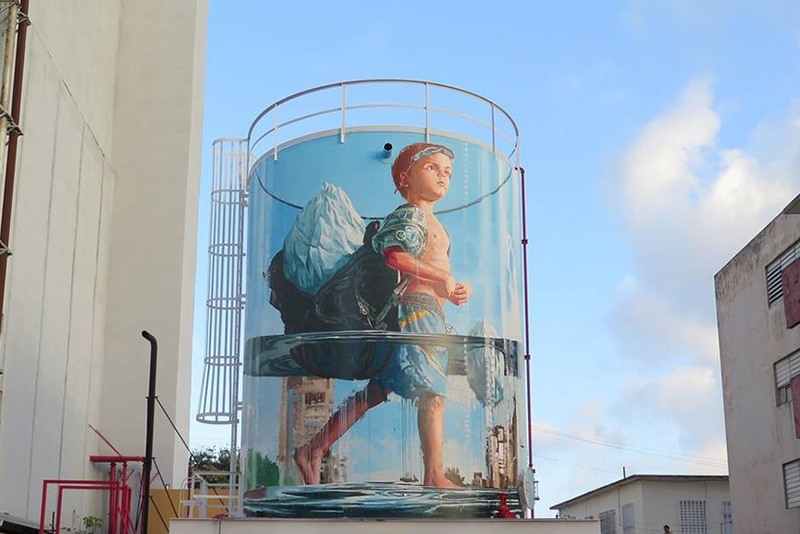 It depicts a local boy from San Juan, Puerto Rico, and the increasing level of water is not there just as a metaphor, but also as an illustration of reality. Due to the climate change, the sea level is rising, and it is a massive threat for the islands in the Caribbean. 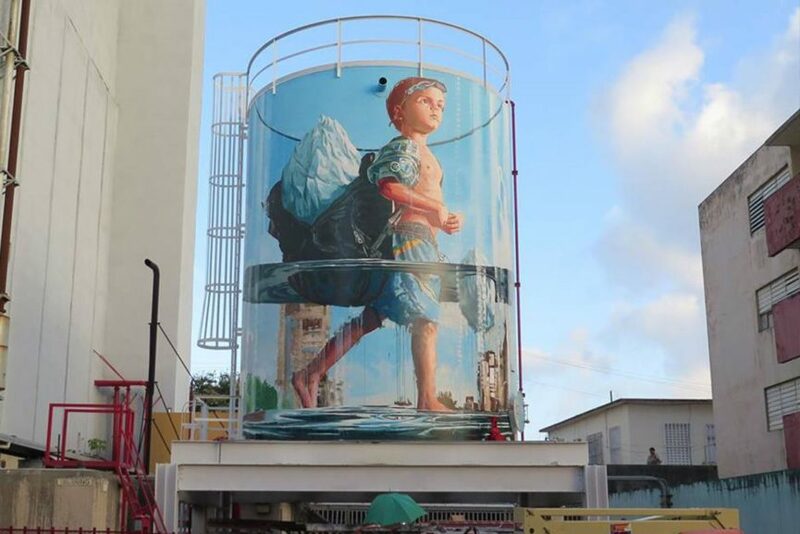 Fintan Magee finds how the small nations who live on these islands are the least responsible ones, since their levels of CO2 emission are incomparable to the damage caused by rest of the world. The local boy is carrying an iceberg in his bag, trying to save his island. 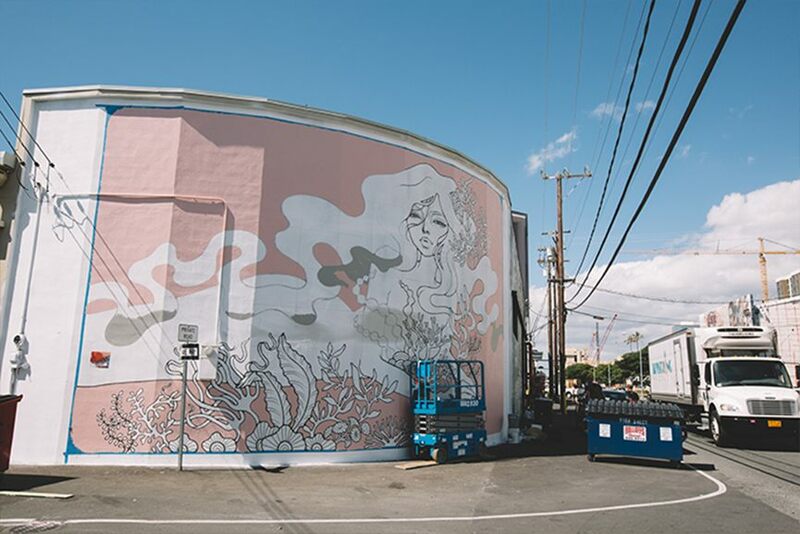 As you probably noticed, Hawaii has been very popular this week (and the week before) in the world of street art, so here’s another interesting mural made for POW! WOW! HAWAII Festival. Usugrow usually works with high-contrast black and white imagery, and he deployed that same pattern once again. 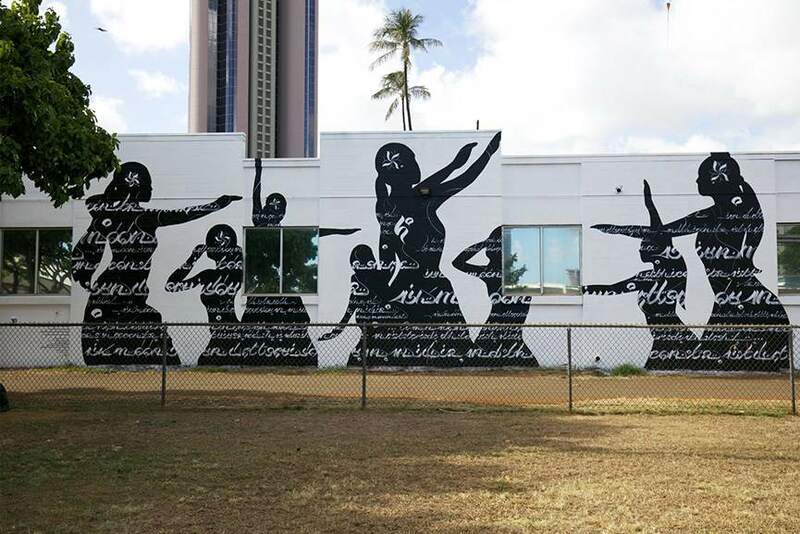 He was probably inspired by the Hawaiian culture and nature, and especially their women, since their silhouettes are represented with a touch of attentiveness and grace. The stylized flowers in their hair overlap with their black shadows, and complement the white letters.